Last week I set up a “soap factory” in our kitchen ;). 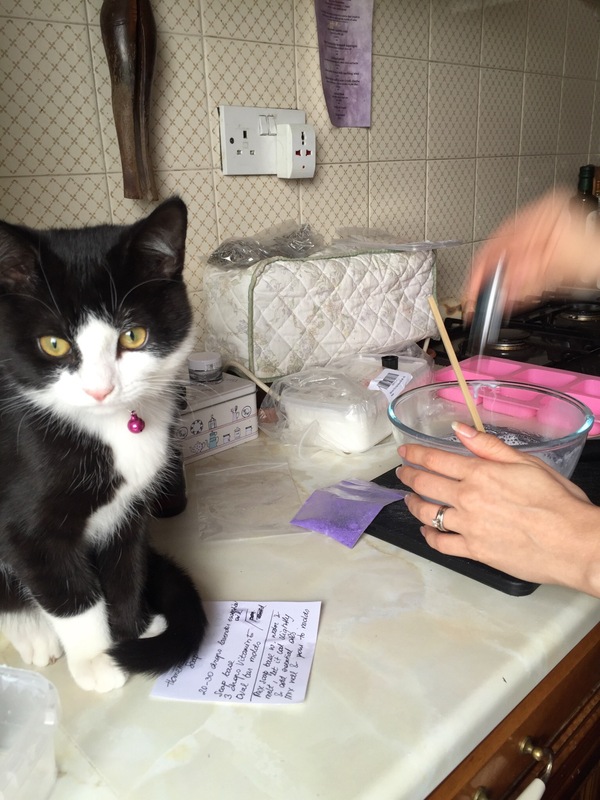 Under the watchful eye of our kitten I mixed some goat’s milk soap base with purple colouring and essential oils. A recipe I had found on Dr. Axe. 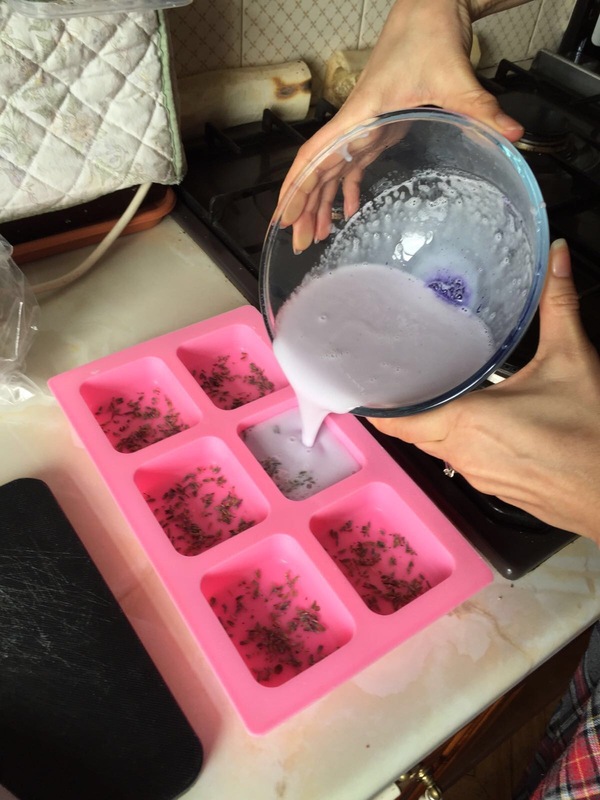 Very easy to make and the soaps are free of harmful chemicals!